Cleaning a custom tile shower system can be a challenge. Repairing a shower pan leak requires to know how and experience. A properly designed and constructed tile shower is a beautiful thing. It adds beauty and elegance to a home or a commercial building. A shower helps to relieve the stress of a hard day or to hide away whenever you have to or want privacy. With over 17 years in cleaning, sealing, repair and installing custom tile shower system, we will answer each one o these ones by one. The first thing we want to discuss is how to keep the shower clean in order to avoid or reduce the amount of soiling in your tile shower. Keep your shower dry – it is recommended that you have a properly working exhaust fan installed in your bathroom. The fan not only fan-out the musty orders but also the humidity from showering. It is recommended that you run the fan for at least 30 minutes after every shower, keep the shower door or curtains open to allow air to circulate. Use a squeegee to squeegee down the wall and glass in the shower after every use. Again, this helps keep the shower dry. 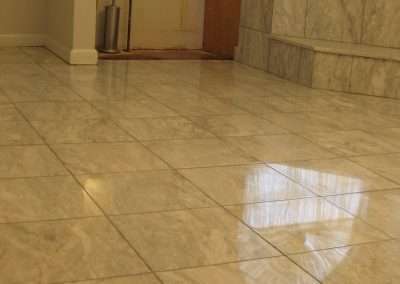 Use a penetrating sealer to seal the grout lines and floor every couple of years. 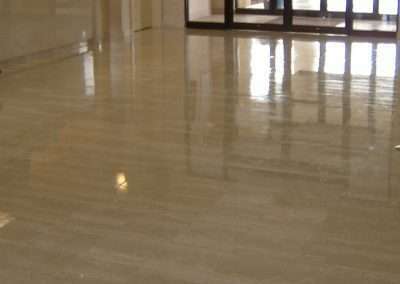 Sealing the grout lines or natural stone tiles prevent water or moisture entering the surfaces. This will help keep the shower clean. The two major soiling reasons are soaps and mildew. Some soaps and shampoos are heavy in soap and will leave a residue after every shower. This residue will build up after a while making the shower walls and floor look dingy. 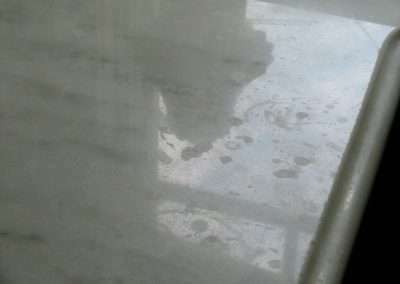 If you have porcelain or ceramic tile, we use a razor blade to remove the gross build up and finish cleaning with a high alkaline cleaning solution and a gentle scrubbing pad. Mildew or mold – These fungi grow in dark, damp and warm areas. Once they are allowed to spread, it is very difficult to clean. Most people use a mix of bleach and water to kill the fungi. If you see signs of black mold, it is recommended to seek the help of a professional. To clean grout lines, use a high alkaline cleaner and a grout brush to scrub the cleaning solution into the grout lines. The use of a steam cleaner will make cleaning the shower grout lines easier and more effective. 2. What are the best shower cleaning products? When selecting an effective cleaning product for your shower, consider the source or cause of the soiling. In the shower, you will find heavy soap build up combined with body oils and other organic soilings. Whenever we are trying to clean an oil-based stain or soil, we must use a degreaser. For homemade porcelain or ceramic shower tile and grout cleaning, you can use a mix of vinegar and dishwashing liquid, spray it in the affected area, let it dwell and then scrub with a soft brush or white scrubbing pad. Follow this by rinsing thoroughly. Caution: this mix is not safe for natural stone tiles. 3. 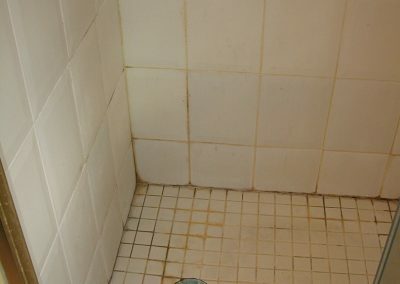 How to repair damaged or broken grout lines in the shower. Best way to repair those broken grout lines is to scrape the damaged grout line and replace with new grout. This depends on several factors. The width of the grout lines and type of grout lines. If you have thick grout lines, you can use a box cutter knife to scrape the lines. If the grout lines are thicker, then a grout scrapper will do very nicely. The type of grout. 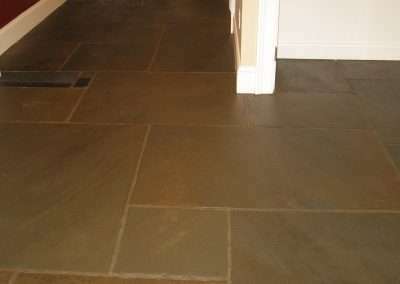 Grout is normally found in sanded or unsanded. If you have thin grout lines, you probably have unsanded grout. Ensure that you use the correct type when replacing the grout. 4. 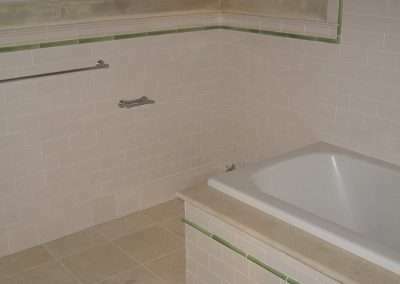 What is the cost of replacing or regrouting a shower? 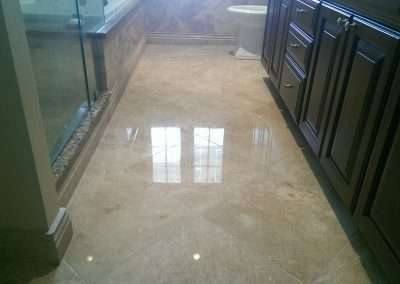 Obviously, this can vary from region to region, size of the shower, amount of grout, size of grout lines and depending on the experience and size of the grout repair company or contractor. Most contractors will charge by the hour or the job. This is and can be the most troublesome. 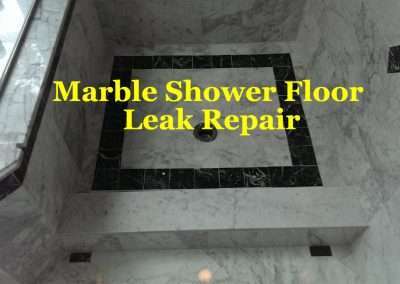 There are several causes and areas for shower floor leaks. Type of construction – what system was used to build the shower system. Most older custom tile showers are built using a copper pan to collect any water that breaks through the grout lines and floor seams. Level of experience the contractor has. 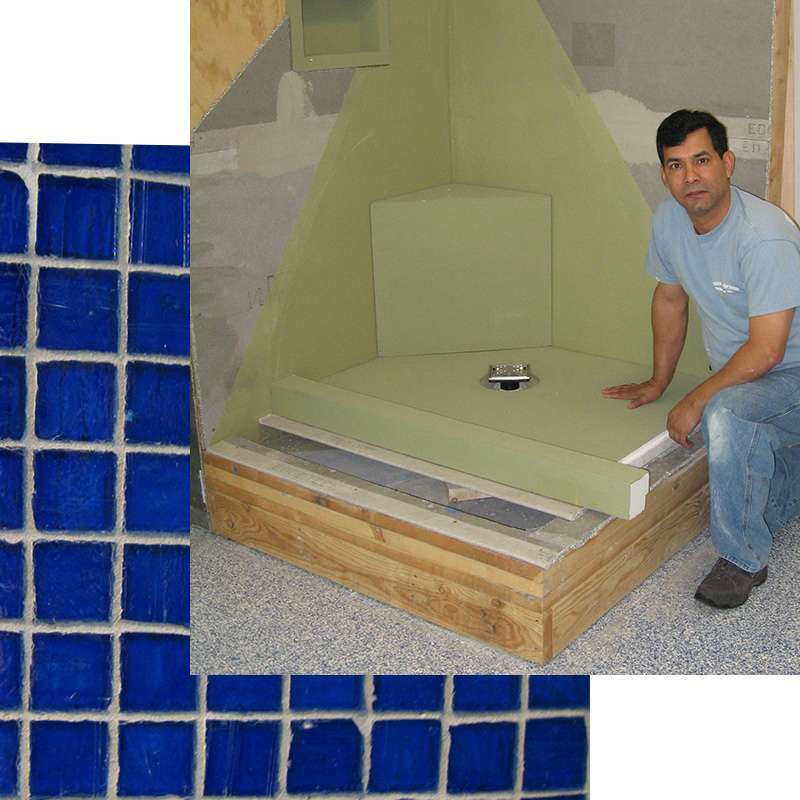 When building a custom tile shower, there may be several contractors involved. The General contractor, the plumber, and tile contractor. 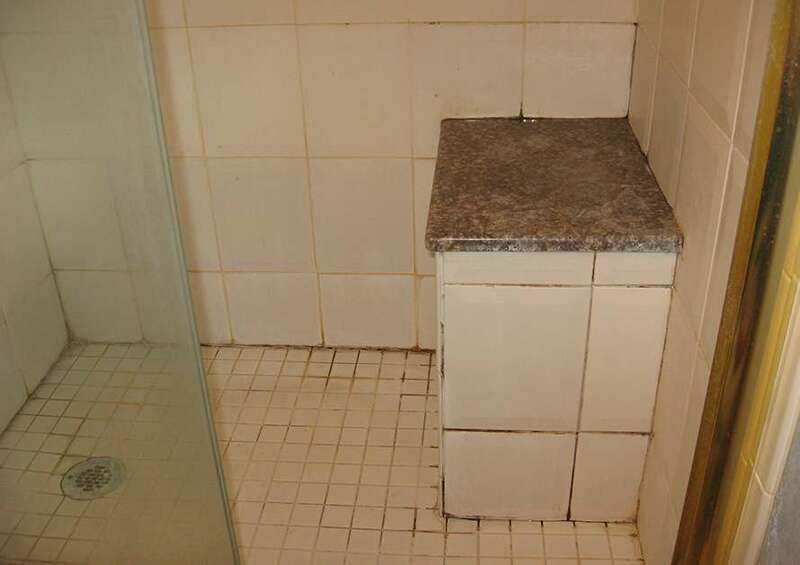 At some point one, they will probably miss an aspect of proper shower construction. 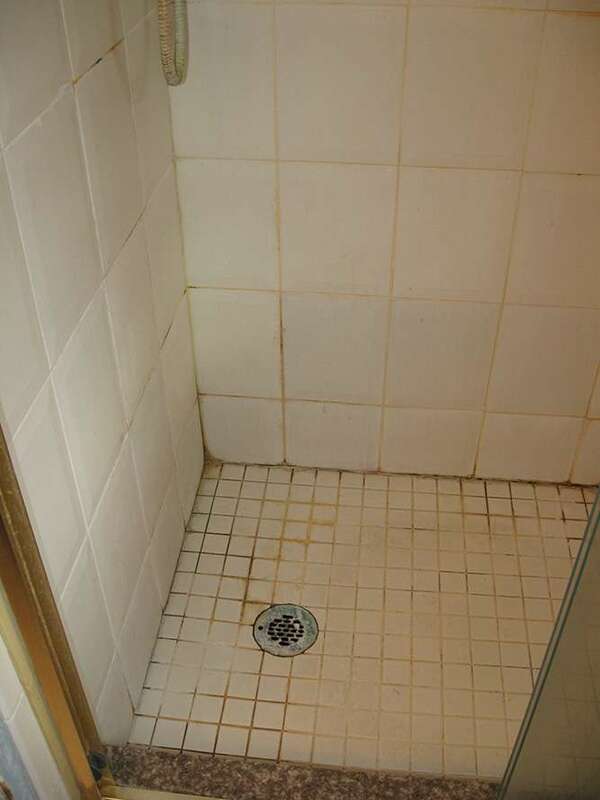 When a shower is showing signs of leaks, it is better to consult with an experienced shower system contractor who can properly assess the situation and make proper recommendations for a repair or replacement. We are hoping that these few tips will help you with your shower. 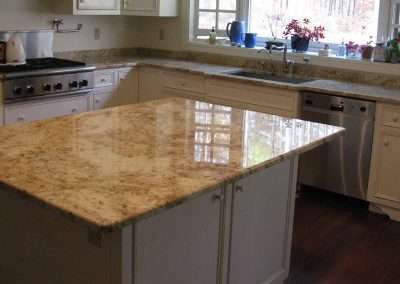 But if you feel you can not tackle the project on your own, feel free to contact us in Massachusetts or Rhode Island.